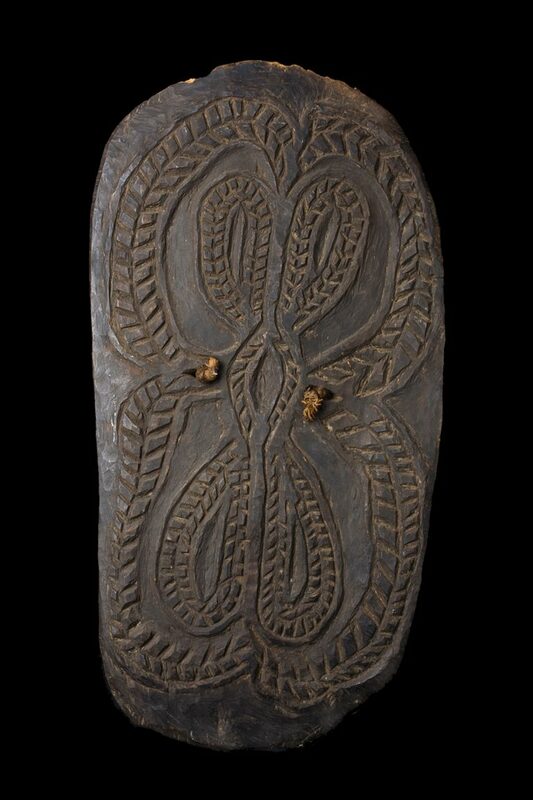 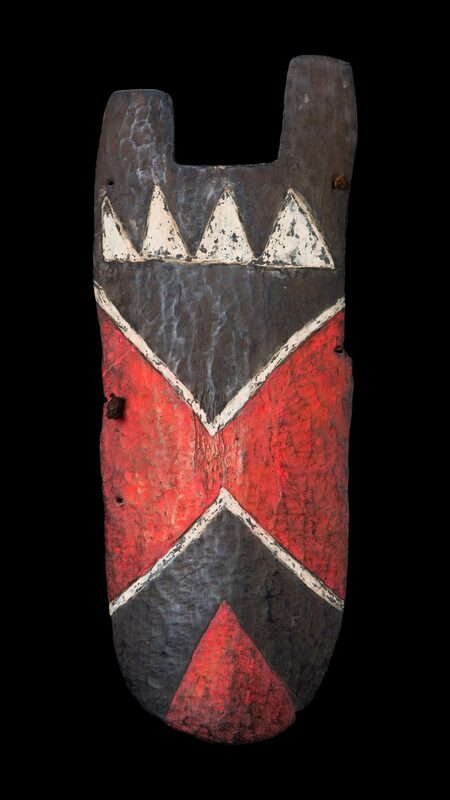 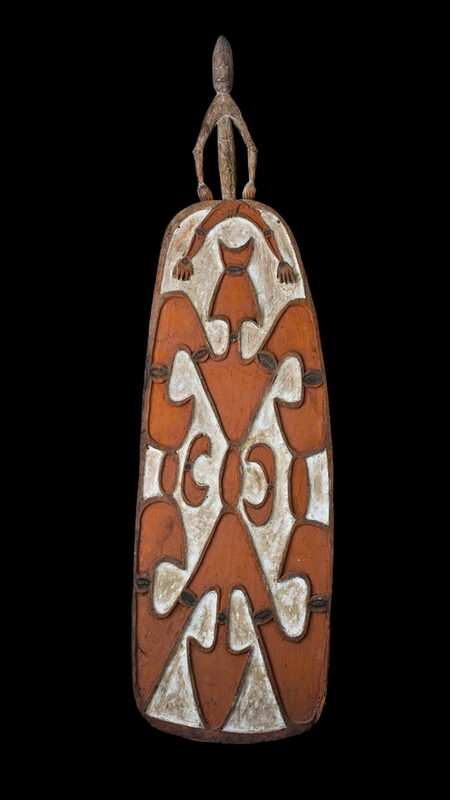 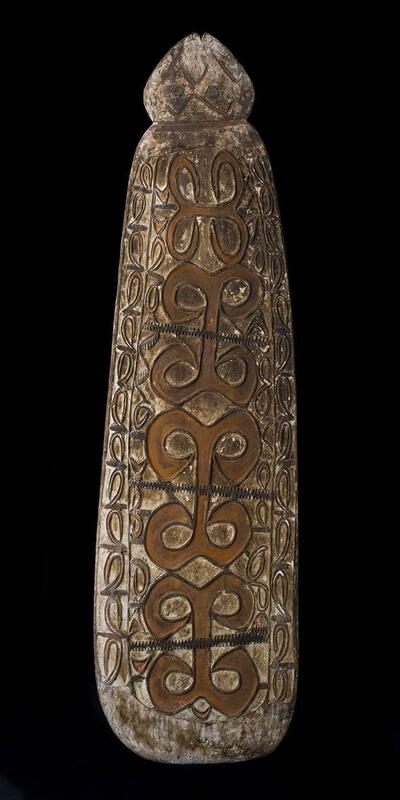 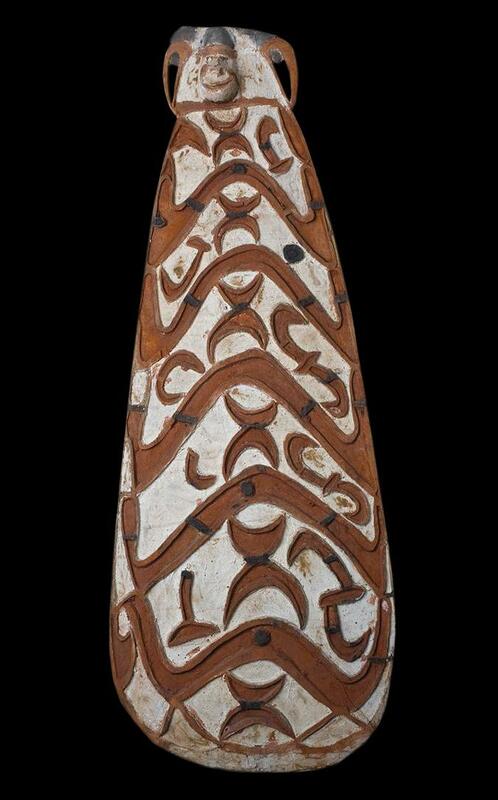 The collection includes a number of Papua New Guinea & West Papuan shields that exemplify the artistic warfare culture of the region. 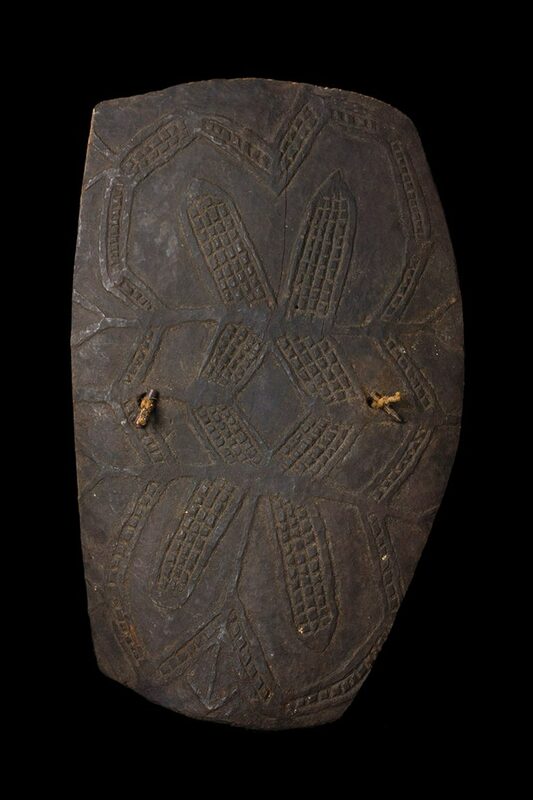 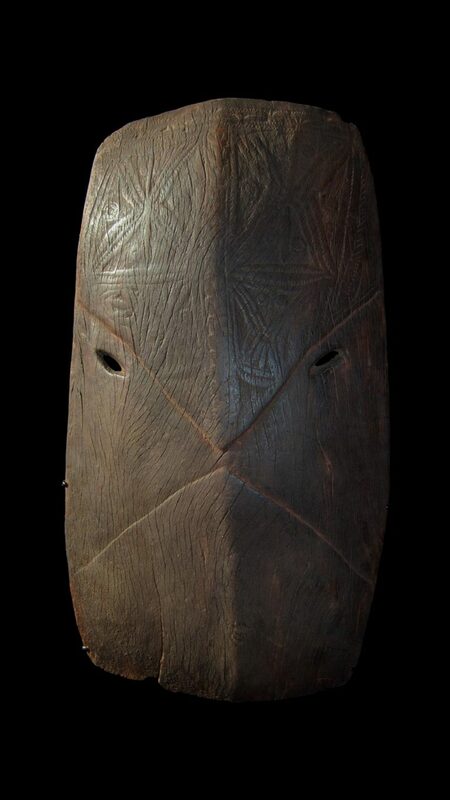 Shields represented practical and aesthetic objects for protecting one’s self in tribal warfare, but also in ritual & ancestor worship. 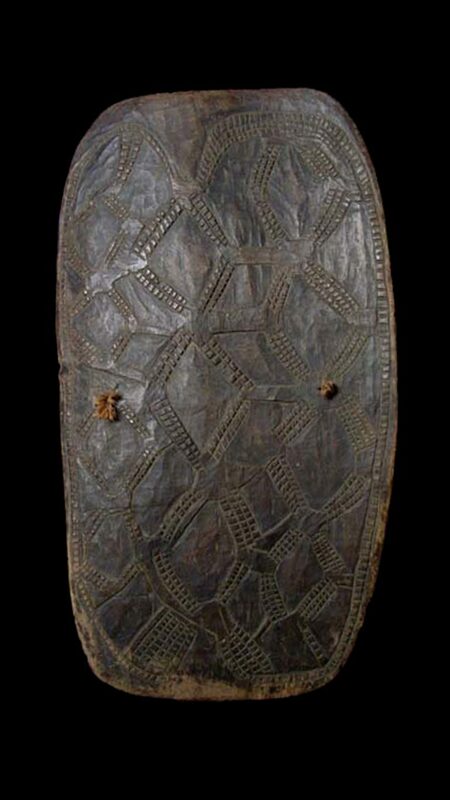 Shields are adorned with powerful motifs, colour and symbolism to protect the carrier from magic or imbue fear in the opponent.